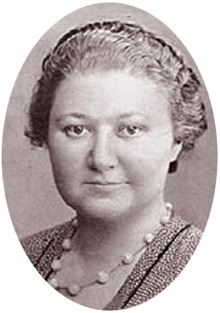 Vera Menchik (16 February 1906 – 27 June 1944) was a British-Czech chess player who was the first women's world chess champion. She also competed in chess tournaments with some of the world's leading male chess players of her time. She won two matches against Sonja Graf for the Women’s World Champion title; (+3 −1 =0) at Rotterdam 1934, and (+9 −2 =5) at Semmering 1937. Sonja Graf was the second strongest women's player in the world at the time and coached by the legendary Siegbert Tarrasch. Enjoy this nice game between Vera Menchik and Sonja Graf. hey i like that game. thanks for sharing chess queen. the 12th world chess champion remembers the first. keeping up the tradition chess queen. all the best. Sonja Graf was a tough player as well one of those women who couldn't be world champion. she was somebody.